SHANGHAI, May 30, 2011 /PRNewswire-Asia/ — With the release of the Administrative Measures for Payment Services of Non-Financial Institutions, China’s off-line convenience payment market will enter the consolidation period in the first and second quarters of 2011, according to statistics from Analysys International. Transactions of off-line convenience payment reached RMB79 billion (approx. US$12 billion) in the fourth quarter of 2010, representing a sequential growth of 12.66 per cent. The market will grow significantly over the next 6-12 months. There is still huge potential for market growth and innovation for off-line convenience payment. With increasing companies entering the convenience payment sector, the dominant off-line convenience payment provider will witness intensified competition. The market will maintain the focus on traditional convenience store channel, complemented by other market segmentation channels. New business opening and outlet expansion are the main contributors to the fast growth of traditional off-line convenience payment transactions. While Lakala retreats from FamilyMart and focuses on the off-line payment services for home users, other market players have sped up their expansion in convenience stores. Avantouch Software, a Singapore-invested foreign company in China, differentiated itself from its competitors in terms of market share in convenience stores in the first quarter of 2011. alaDing, a self-service convenience payment terminal, has been available in FamilyMart, Lawson and Buddies convenience stores in the vicinity of Shanghai’s major business districts crowded with white collars and office buildings such as People’s Square, West Nanjing Road, Xujiahui and Lujiazui. Avantouch Software CEO Lee Kia Hwee showed how to use alaDing in a FamilyMart. In a FamilyMart convenience store at West Nanjing Road, some white-collars working nearby are touching the screen of the alaDing machine and operate and use it proficiently. This machine, with a simple and even in some sort young and fashionable outlook, appears as a more creative media platform to people who use it for the first time. After observation, however, consumers will understand that the Singaporean company’s attempt for Chinese market is not simple, as this is an e-commerce sale and off-line payment service platform integrated with a variety of products. Avantouch Software, backed by Singapore’s leading listed company IPS, inked a contract with well-known FamilyMart to boldly expand its convenience store channels. FamilyMart has about 600 stores across China, of which 490 are located in Shanghai. Foreign-funded convenience store Lawson also signed a deal on alaDing. The two convenience store brands with operations covering 69 per cent of top-rated office buildings and business zones are gathering a number of high- and middle-grade white-collars, which is one of the reasons why the two brands were chosen first at the time when Avantouch Software CEO Lee Kia Hwee decided to develop convenience store channels. The number of alaDing terminals in Shanghai now has totaled nearly 500, and is expected to reach about 1,000 by year end. Moreover, alaDing will enter Shenzhen and Guangzhou in the second half of this year. Convenience stores with a good reputation are really one of the best channels for the development of offline payment business. alaDing emerged unexpectedly, mainly due to its unique model, a combination of a self-service terminal, prompt logistic delivery, a safe payment platform and convenience products and services, making a diversified sales service platform and bringing an e-shelf into convenience stores without increasing retail space, while significantly improving convenience stores’ SKU and ROI. Combining practical stores and virtual marketing makes services safely and quickly. Tickets for performances, cinemas and lotteries, game point cards, top-ups and payments, coupon printing, loyalty point redemption, group buying and other services for every aspect of daily life can be purchased through alaDing. alaDing is very distinctive and differential over those provided by other convenience payment and coupon operators. An official at Shanghai Telecom said that alaDing’s instant loyalty point redemption service for Shanghai Telecom’s users is a major innovation in loyalty point redemption operations. Before the innovative service available, many users complained that they missed to redeem their large amounts of loyalty points by the due date. They also find it time-consuming and unsatisfactory to redeem the points at the online redemption center, because they have to check the exact amount of their loyalty points for item equivalents. Now with alaDing’s instant redemption service, after entering their mobile phone number at an alaDing terminal and then getting an access code, users are allowed to use their telecom loyalty points to buy goods in equivalent value at any FamilyMart store where alaDing terminals are available in Shanghai, avoiding a miss to redeem by due date and complicated online processes. Shanghai Telecom also provides their users with innovative experience in exchanging loyalty points and enhances their confidence in the brand. These benefits help alaDing consolidate its targeted white-collar consumer base and increase the consumer stickiness in middle- and old-aged consumers who have easy access to alaDing terminals at convenience stores located in their residential communities. To maximize its consumer stickiness, alaDing learns from a number of foreign successful stories when developing its own products and services. In the competitive movie ticket discount market, alaDing not only provides bookings of special-priced tickets for any session at nearly 40 theaters in Shanghai, but also film information display, real-time session booking and online seat selection services. The white-collars using alaDing for consumption in convenience stores generally believe that with consumer need for more diversified off-line payment and more completed convenience store services, the off-line payment providers still have a lot to do, such as adding more payment methods, offering diversified and convenient products, protecting personal information and maintaining old and new customer relations. With issuance of the third party payment licenses by Chinese government, customers’ acceptance of merchants will be improved and channels in the second and third tier cities will be expanded, which will accordingly bring the acceleration of market growth. SINGAPORE, May 26, 2011 /PRNewswire-Asia/ — The Digital Life Academy today announced that Pushkal Dharmendra of India has been selected to attend the Academy for its 2011 session this summer in Singapore. The Digital Life Academy is a global think tank of people ages 16-25 who are interested in the areas of online privacy, data and content ownership, content monetization and similar topics. The Academy will comprise of 30 individuals from 20 countries, who meet for a 6-week period annually. Academy selection is based on the individuals demonstrating entrepreneurial drive, business acumen and a dedication to the concept of digital life freedom. Over 10,000 prospective candidates from more than 100 countries have enquired about the Academy. “We are pleased to invite Pushkal to the Academy,” said Johan Stael von Holstein, CEO of MyCube, the Academy sponsor. “He has outstanding academic credentials, currently attending the Indian Institute of Technology, Bombay. He is a co-founder of his own startup, demonstrating his entrepreneurial ambitions. And his Academy application essay demonstrated a clear understanding that social networking and privacy can, and must, co-exist.” The essay can be read at http://bit.ly/kjPfPT. The Academy will run from 4 July to 12 August 2011 at MyCube’s headquarters in Singapore. Academy members receive free flights, free housing and a $3,000 Singapore dollar stipend. Academy members will develop position papers, editorials, articles and business ideas related to the core Academy concepts of online privacy, ownership and control. After the program session, members will continue to serve as spokespeople for the Academy and will help to select and mentor future members. The Academy is accepting applications for the 2011 session until 5 June. For more information on the Academy, please see internship2011.mycube.com. LANGENARGEN, Germany, May 25, 2011 /PRNewswire-Asia/ — Live coverage of stage 2 of the World Match Racing Tour (WMRT), Match Race Germany, will begin on Wednesday with the first Qualifying Session after the teams finished honing their skills on the new fleet of Bavaria 40S yachts on Lake Constance. The first Qualifying Session will be the first opportunity to see Mathieu Richard (FRA) French Match Racing Team and Johnie Berntsson (SWE) Berntsson Sailing Team in action, with the two going head-to-head in Flight 3. A live blog will run on www.wmrt.com throughout the day to give flight by flight updates. 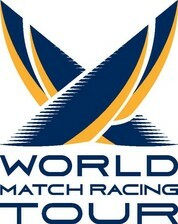 Also follow the action on the WMRT Facebook page http://www.facebook.com/worldmatchracingtour and Twitter pagehttp://twitter.com/worldmrt . *Times dependant on racing conditions. SHANGHAI, May 24, 2011 /PRNewswire-Asia/ — Porsche China celebrates its tenth anniversary in 2011, looking back on a decade in which it has made history, broken records and led the automotive industry in bringing sports cars that are ‘Made in Faith’ to the Porsche enthusiasts of China. Since the opening of Porsche Centre Beijing Central in 2001, China has grown to become the second largest market for Porsche worldwide, achieving stunning growth over the past decade: from 27 cars sold in 2002, to 13,856 in 2010 in Mainland China. The sports car maker’s illustrious legacy has been built with faith in its ability to meet the needs of the world’s most dynamic automotive market. By becoming an official subsidiary of Porsche AG in 2008, Porsche marked the beginning of a new era in its China history. The new subsidiary allowed Porsche greater flexibility to successfully satisfy the demands of the Chinese market. To date, the company has opened 31 Porsche Centres in China, with September 2010 seeing Porsche China open its first directly-operated Porsche Centre at Shanghai Pudong. This flagship facility is now a vital component of future Porsche operations in China, setting a benchmark for innovative new strategies and initiatives and making Porsche China even more responsive to the needs of customers. Further landmark events are scheduled for 2011, as Porsche China continues its programme of expansion with grand opening ceremonies at Porsche Centres Taizhou, Zhengzhou, Haikou and Chengdu Airport. As a symbol of its phenomenal growth over the last decade, Porsche China welcomed its 50,000th customer this year, demonstrating the rising popularity of the marque as it moves forward into a second decade in the China market. Throughout its first decade in China, Porsche has nurtured an automotive culture that values intelligent sports car engineering. Since Porsche first thrilled crowds at Auto Shanghai 2005 with the Carrera GT super sports car, Chinese enthusiasts have enjoyed yet more magnificent model premieres from the RS Spyder at Auto Shanghai 2007 and the Cayenne Turbo S at Auto China 2008 in Beijing. The World Premiere of the Porsche Panamera in 2009 – notably held on the 94th Floor of the Shanghai World Financial Centre – also underlined the great faith that Porsche has invested in the China market. More recently, Chinese crowds were treated to a glimpse of the mid-engine 918 Spyder at Auto China 2010 and the innovative new racing lab, the 918 RSR, at this year’s Auto Shanghai. In supporting this enthusiasm for its unique sports cars, Porsche China has welcomed events that celebrate the faith of Porsche in its past, present and future. From 2002, the Porsche World Roadshow has toured China, proving to fans nationwide that there is no more exciting way to experience Porsche than on the racetrack. This sentiment is undoubtedly supported by the aspiring racers and customers that have made the Porsche Sport Driving School so hugely popular. Enthusiasts have also had a chance to take their passion for Porsche on the road with the Porsche Drive to Excellence. A fully comprehensive range of driving activities has been provided by Fascination Porsche since 2009, with a selection of famous sports cars from the Porsche Museum in Stuttgart and current model lines bringing unforgettable driving experiences to cities across China. With popular acclaim has come significant praise, as China’s best automotive publications have continued to recognise the brilliance of Porsche Intelligent Performance. Close to 70 awards have been bestowed on the Porsche range, including ‘Best Imported Sports Car’ for the 911 Carrera from Auto Magazine, Auto World Magazine’s ‘People’s Choice Award’ for the Cayenne SUV and the title of ‘Luxury Car of the Year’ from Orient Auto for the Panamera. Porsche has also been honoured with the ultimate accolade from Auto Motor und Sport for two consecutive years, as ‘Best Sport Brand’ in 2010 and ‘Best Brand’ in 2011. Highlighting its legendary racing history, Porsche has continued to bring the excitement of motor sports to new audiences in China. From 2001, the marque has triumphed throughout Asia, bringing its unique motorsport legacy to events from the Transsyberia Rally of 2008 to the Intercontinental Le Mans Series at Zhuhai in 2010. Since roaring off the grid in 2003, the Porsche Carrera Cup Asia (PCCA) has become China’s most popular one-make series, contesting rounds each year on racetracks across China. The success of the series has proved inspirational to Chinese teams, with PCCA legends such as Darryl O’Young and Christian Menzel taking to the track alongside mainland Chinese racers such as Wang Jianwei and Rose Tan with the support of thousands of Chinese fans. The success of teams from Mainland China, such as Team Jebsen, Team StarChase, Team BetterLife, Team Kangshun and Team C&D, point to a bright future for the series, which has now been under the management of Porsche China since January 2011. As Porsche celebrates the many milestones of its first decade in China, it continues to demonstrate its commitment to China’s social development through the ‘Empowering the Future’ initiative. Conceived after Porsche contributed an initial RMB 5 million in the aftermath of the Wenchuan earthquake of 2008, the collaboration with UNICEF has supplied educational resources and training to schools that were affected by the natural disaster. Through direct donations and fund raising programmes such as the ‘Empowering the Future’ Art Contest with Sichuan Fine Arts Institute, Porsche has now contributed more than RMB 10.2 million and four modified Cayennes to the initiative, improving the lives of over 55,000 students in 260 schools throughout the region and affirming the strength of its confidence in China’s future. In tribute to a first decade of achievement for Porsche China, customers, media and Porsche representatives from across the country were invited to the Grand Hyatt Beijing on May 20-22 for an evening of gala celebrations. Guest of honour Dr. Wolfgang Porsche, Chairman of the Supervisory Board of Porsche Automobil Holding SE and grandson of company founder Ferdinand Porsche, was joined by Mr. Bernhard Maier, Vice President Sales and Marketing Porsche AG, in addressing the VIP audience. Both expressed their excitement at the success of Porsche China while underlining the continued importance of this market to worldwide Porsche operations. Renowned singer Na Ying also joined the event, presented by celebrity hosts Tsai Kang Yong and Wang Youjia. The ten year anniversary celebration was complemented by the third annual Fascination Porsche event at Beijing Goldenport Circuit from May 21-22, as invited guests enjoyed a dazzling array of Porsche sports cars and activities within an authentic motor sport setting. Arriving from all corners of the world, the event features a showcase of some of the most famous cars in the history of Porsche. The award-winning line-up of Museum cars included championship racers such as the Porsche RS Spyder and Porsche 935, and models such as the Porsche 356 Speedster. Attendees were also treated to the sight of the Porsche 917 KH – originally sponsored by mineral oil producer Gulf and winner of classic races such as Daytona and Le Mans. Throughout the Fascination Porsche event, a range of track driving activities brought Porsche Intelligent Performance to life behind the wheel of contemporary models such the Boxster S, Cayman S and Panamera. About Porsche (China) Motors Ltd.
Porsche is known throughout the world for creating the ultimate sports cars for everyday use. Under the guiding credo of “Porsche Intelligent Performance”, Porsche provides a new generation of sports cars that prove high performance and efficiency are not contradictory terms. Since commencing operations in 2001, Porsche China has imported iconic sports cars that are imbued with the sporting spirit that has defined the marque since 1948: the legendary 911 series, the renowned Boxster and Cayman mid-engine sports cars, the Cayenne premium SUV and the four-door Panamera Gran Turismo. Porsche China currently oversees 31 Porsche Centres nationwide, ensuring that Porsche owners across China receive the hallmark personalised care that customers have come to associate with the brand. 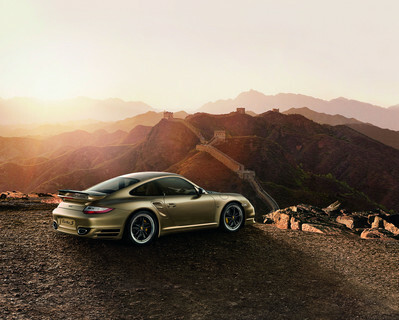 In 2011, Porsche celebrates its 10th anniversary in Mainland China with a new annual sales record of 14,785 deliveries. For more information, please visit us at http://www.porsche.cn. SINGAPORE, May 24, 2011 /PRNewswire-Asia/ — MyCube announced that it has closed funding from Black Ocean Group and other prominent individual investors. This brings the company’s total funding to over US$8 million. MyCube is the world’s first “social exchange”, a next-generation social network which gives individuals full privacy, ownership and control of their digital lives and enables them to connect and share with others on their own terms. MyCube is the world’s first Social Exchange™, allowing individuals and organizations to store and share their information, updates and content with others, while retaining full privacy, ownership and control. To request an invitation to MyCube, please visit http://www.mycube.com, or for more information please see news.mycube.com or email info@mycube.com. DHL, the world’s leading logistics company, celebrates five years of operations in fast-growing Mongolia with the launch of a new rail service — the Genghis Khan Connection, a scheduled tri-weekly cross border rail solution available during the high season from April to October linking Ulaanbaatar, Mongolia by rail to Tianjin, China and out to the rest of the world. DHL Global Forwarding is the only global logistics provider in Mongolia to offer scheduled services and reliable solutions to congested routes and complex customs processes. The 30-day Genghis Khan Connection leverages Mongolia’s improving infrastructure to help customers avoid peak season congestion at regional border towns, seaports and airports which can sometimes substantially delay shipments. The service dovetails DHL Global Forwarding’s existing global network of connections to provide a new viable transport option for businesses particularly in consumer goods, fashion and accessories and equipment, machines and spare parts. Rail being a greener alternative to air and road options, the Genghis Khan Connection also helps reduce customers’ CO2 footprint. Mongolia enjoyed a GDP growth of close to 10% in 2010 (1) fuelled by the opening of new mining areas and its growth is expected to surge to as high as 23 percent in 2013 (2). The country is a fast-growing, raw materials provider with extensive natural resources including oil, coal, copper, gold, silver, iron and phosphate. Fastest-growing industries include mining (coal, copper, molybdenum, fluorspar, and gold), oil, construction materials, food and beverages and the processing of animal products into products like cashmere and woolen textiles. From China, Mongolia is also importing vast amounts of rare earth, a major component in automobile manufacturing and a key resource to the numerous high-tech companies setting up their manufacturing bases in Mongolia. DHL is part of Deutsche Post DHL. The Group generated revenue of more than 51 billion Euros in 2010. For the latest news and happenings about DHL in Asia Pacific, visit http://press.ap.dhl.com. 1. Mongolia Country Report, Global Finance. LONDON, PARIS and SINGAPORE, May 23, 2011 /PRNewswire-Asia/ — NYSE Liffe announced that UOB Bullion and Futures (UOBBF), the Singapore-based futures broker, has become a member of NYSE Liffe’s London and Paris markets. A subsidiary of United Overseas Bank Limited, UOBBF was founded in 1978. UOBBF specialises in equity index and interest rate derivatives trading, which are key strengths of NYSE Liffe. Both NYSE Euronext’s Euribor and FTSE 100 Index futures contracts open at 0100hrs London time, enabling trading during the Singapore working day. NYSE Technologies’ SFTI network is the highly resilient, ultra low-latency communications backbone created specifically for the financial industry in 2002. It provides connectivity to a range of exchanges, market centers and content service providers, including all of the National Market System venues in the U.S. SFTI also connects to over 1,300 market participants and offers third-party technology products through its unique hosted solutions platform. Designed to be the industry’s most secure and resilient global network, SFTI is specifically built for electronic trading and market data traffic thus enabling firms to reduce their time-to-market, improve their performance and significantly lower the cost of their trading. NYSE Euronext (NYX) is a leading global operator of financial markets and provider of innovative trading technologies. The company’s exchanges in Europe and the United States trade equities, futures, options, fixed-income and exchange-traded products. With approximately 8,000 listed issues (excluding European Structured Products), NYSE Euronext’s equities markets – the New York Stock Exchange, NYSE Euronext, NYSE Amex, NYSE Alternext and NYSE Arca – represent one-third of the world’s equities trading, the most liquidity of any global exchange group. NYSE Euronext also operates NYSE Liffe, one of the leading European derivatives businesses and the world’s second-largest derivatives business by value of trading. The company offers comprehensive commercial technology, connectivity and market data products and services through NYSE Technologies. NYSE Euronext is in the S&P 500 index, and is the only exchange operator in the Fortune 500. For more information, please visit: http://www.nyx.com. In Singapore, UOB is a market leader in the credit and debit cards business, and the private residential home loan business. It is also a key player in loans to small and medium enterprises. Its fund management arm, UOB Asset Management, is one of Singapore’s most awarded fund managers. UOB is rated among the world’s top banks by Moody’s Investors Service, receiving B for financial strength, and Aa1 and Prime-1 for long-term and short-term bank deposits respectively. UOB also plays an active role in the community, focusing on children, education and the arts. It has organised the prestigious Painting Of The Year Competition and Exhibition since 1982, and supports Very Special Arts Singapore which provides art programmes for the disabled. In recognition of its contributions to the arts, UOB has been conferred the National Arts Council’s Distinguished Patron of the Arts Award for 3 the sixth consecutive year. UOB has also established the annual UOB Heartbeat Run to raise funds for charity. This press release may contain forward-looking statements, including forward-looking statements within the meaning of the Private Securities Litigation Reform Act of 1995. Such forward-looking statements include, but are not limited to, statements concerning NYSE Euronext’s plans, objectives, expectations and intentions and other statements that are not historical or current facts. Forward-looking statements are based on NYSE Euronext’s current expectations and involve risks and uncertainties that could cause actual results to differ materially from those expressed or implied in such forward-looking statements. Factors that could cause NYSE Euronext’s results to differ materially from current expectations include, but are not limited to: NYSE Euronext’s ability to implement its strategic initiatives, economic, political and market conditions and fluctuations, government and industry regulation, interest rate risk and U.S. and global competition, and other factors detailed in NYSE Euronext’s reference document for 2009 (“document de reference”) filed with the French Autorite des Marches Financiers (Filed on April 22, 2010 under No. D.10-0304), 2009 Annual Report on Form 10-K and other periodic reports filed with the U.S. Securities and Exchange Commission or the French Autorite des Marches Financiers. In addition, these statements are based on a number of assumptions that are subject to change. Accordingly, actual results may be materially higher or lower than those projected. The inclusion of such projections herein should not be regarded as a representation by NYSE Euronext that the projections will prove to be correct. This press release speaks only as of this date. NYSE Euronext disclaims any duty to update the information herein.